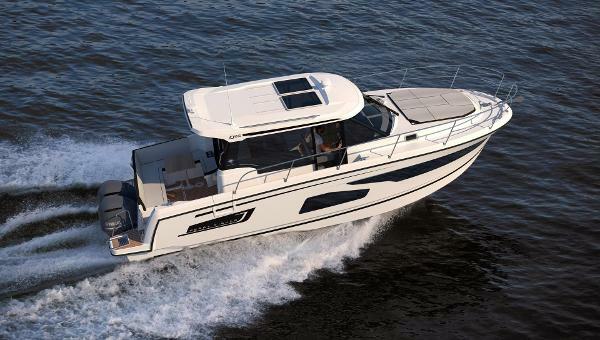 NEW MODEL FOR 2018​​JEANNEAU MERRY FISHER 1095​On the exterior, every detail has been carefully considered for safety, comfort and relaxation. A sliding side door, recessed sidedeck and side access gate facilitate movement and access aboard. You will appreciate her modular cockpit, immense aft swim platforms flowing seamlessly from the cockpit, and very comfortable forward sundeck equipped with adjustable seatbacks. According to your needs, the co-pilot bench seat can pivot to create a wide space for entertaining in the cockpit. At night, the bench seat can also be transformed into a berth! On the interior, you will be impressed by the bright natural light diffused through the opening sunroofs, wide sliding glass doors, and windows in the hull. The Merry Fisher 1095 features important innovations in thedistribution of living space. You will be surprised by the numerous storage compartments integrated into the large and fully functional galley, and by the spacious head compartment with separate shower. Below, in addition to the saloon, two or three cabins are available: a large and comfortable owner’s cabin, a guest cabin, and an innovative third cabin! 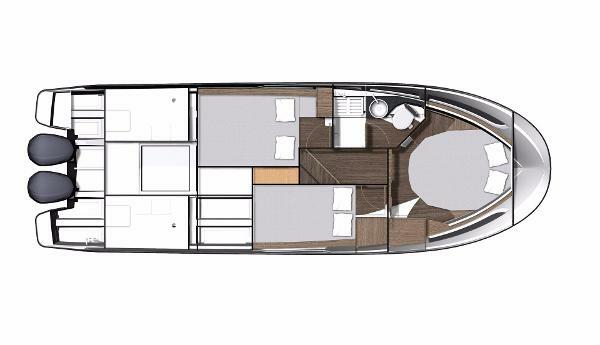 This additional space, whether dedicated for storage or for additional sleeping space, enables you to customise your interior layout for cruising “à la carte!” Powered by twin Yamaha F300 engines, with a combined 600hp, the Jeanneau Merry Fisher 1095 has unrivalled performance in this market. Supply of the new Jeanneau Merry Fisher 1095 is very limited, so please contact Daniel on 01590 613600 to discuss pricing and availability. 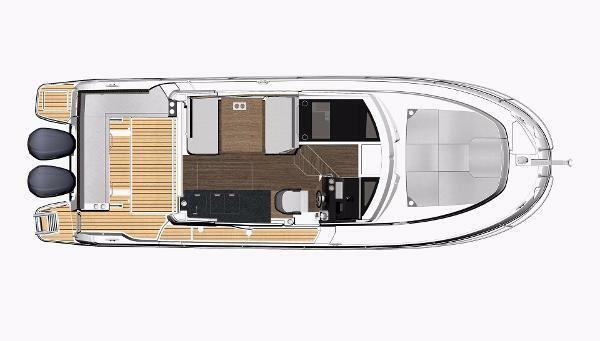 Part exchange, competitive finance and worldwide delivery available on all new boats.